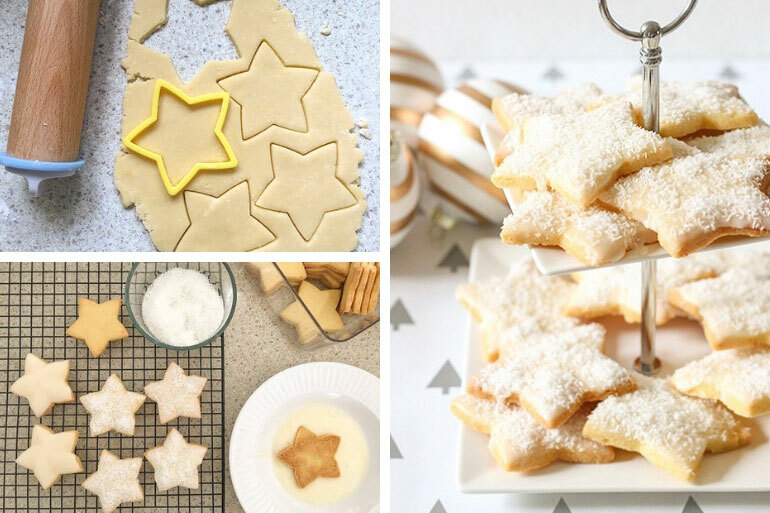 If you don’t bake shortbread stars in December, is it even Christmas? We love this citrus spin on a traditional favourite shortbread recipe! 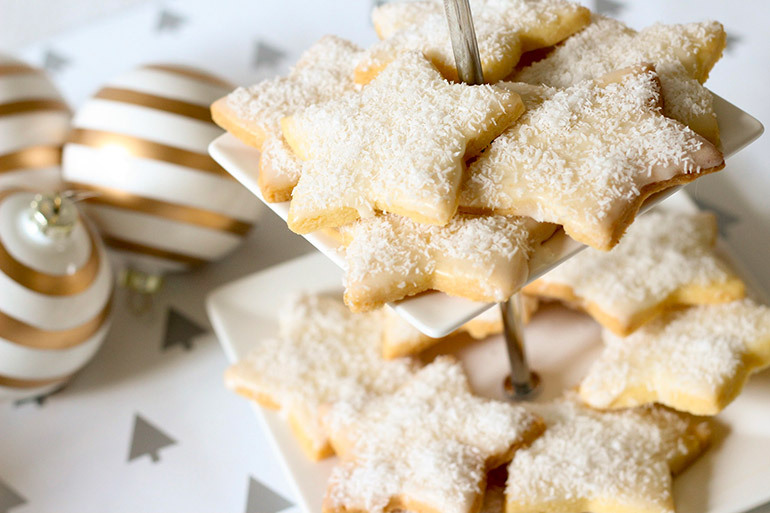 Get your bake on this Christmas using this delicious shortbread stars recipe – complete with a delicious coconut and lemon zingy twist – thanks to McKenzies. Perfect for the biscuit tin, teacher and neighbour gifts, bag these stars up and tie with a ribbon for a delicious gift. For shortbread; place butter and icing sugar in the bowl of an electric mixer. Beat until creamy and pale. Fold in the flour, coconut, rice flour and lemon rind. Tip onto a lightly floured surface and bring together. Form a disc, cover in plastic wrap and cool in the fridge for one hour. Pre-heat the oven to 160°C (140°C fan forced). Line oven trays with baking paper. For the icing: Combine all the ingredients in a mixing bowl. Mix until smooth. Allow to sit for several minutes to come to desired consistency if required. 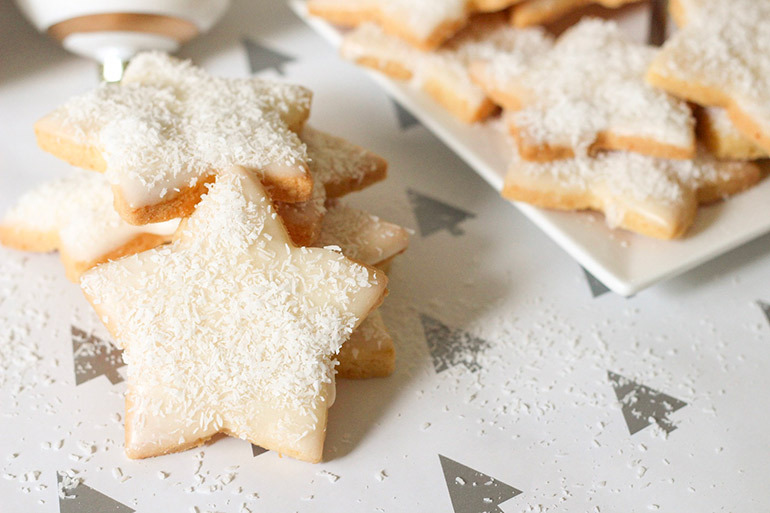 Spread over shortbread stars and sprinkle with coconut. Store in an airtight container, yum! Like tucking into Christmas cookies? Then have a crack at making a gingerbread house!